A few days ago I had a great call with Katie Sotor Vice President of Marketing for Crane to talk about a creative marketing campaign she ran that included sharpie markers, artists, and competitions. The campaign was extremely successful running for almost 6 months and netting 20k Facebook likes in the first 3 months. Crane is a design company that takes ordinary boring products like humidifiers, air purifiers, and space heaters and turns them into beautiful creative designs. While brainstorming ideas for a campaign, Katie and her team noticed that one of their products, the White Drop Humidifier was essentially a “blank canvas” that they could draw on. 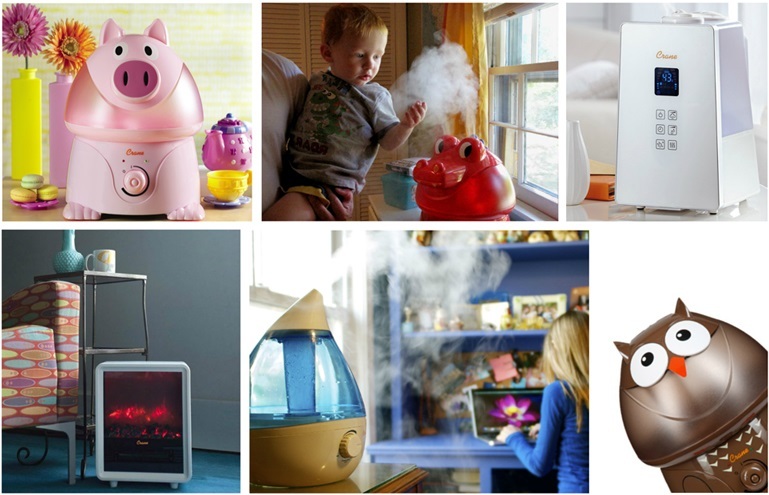 Being a creative company, they loved the idea of custom art humidifiers and figured they could create some buzz by creating and giving away these humidifiers. They decided on running a Facebook competition with a goal of increasing likes to their page and improve their brand presence. Most of Crane’s sales come from retailers such as (Bed Bath & Beyond and Target) meaning direct web sales were secondary to brand awareness. The first task was finding artists to create the art. They thought that Sharpie Markers would be a great medium as they have an oil based marker that works great on plastic surfaces. They were also aware of Sharpie’s marketing campaigns involving artist creating beautiful art and designs on all sorts of surfaces and decided to contact Sharpie to try and get their involvement. Luckily, someone in the office went to high school with a current Sharpie Artist who was more than happy to help get the ball rolling with a design and help connect them with the marketing team in Sharpie. With their first artist Samantha DeCarlo locked down, they began the campaign. They created a competition where entrants were pushed to like their Facebook page and give their email to enter the competition (there are many Facebook competition apps out there that can be used to run this kind of campaign). They set up the competition to give away a prize each week of a normal humidifier with a grand monthly prize of a customized humidifier. They also used an “everybody wins” tactic, giving every entrant a discount coupon for purchases made on their website. I love this campaign for a few reasons. First, the product is great. It’s a creative and playful twist on what is traditionally a boring product. They used this to their advantage when designing the campaign and reinforced the brand image with a bright and creative focused campaign. They also executed effectively, creating an experience out of the campaign. Promoting it continuously, mixing it with content marketing, interviews and leveraging other people’s audience to get a real bang for their marketing buck. All in all, this campaign was incredibly successful. The long-term results of the subscribers, social media followers, and brand awareness will likely translate into millions of dollars of sales for Crane all for spending just a few hundred. 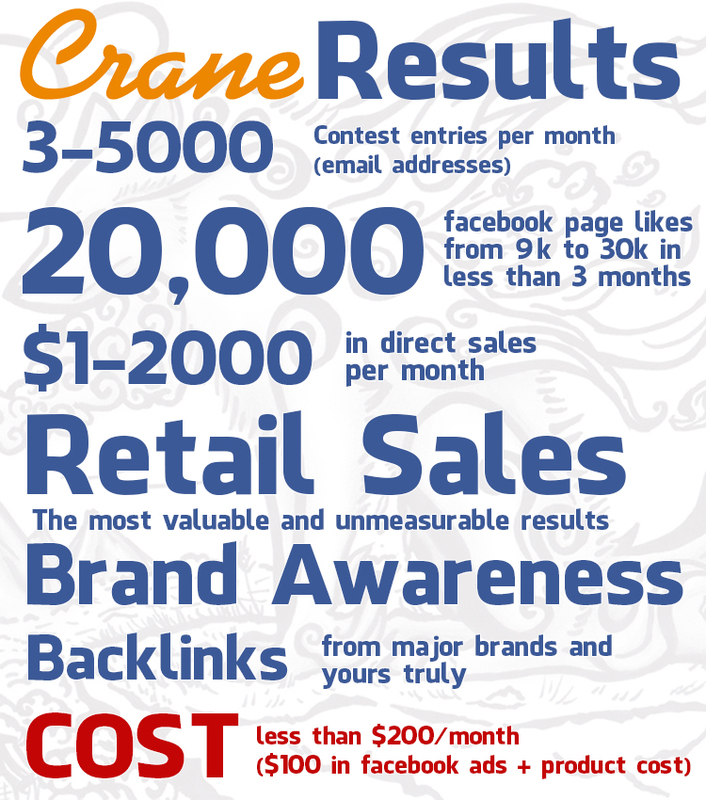 If you’re interested in Crane, head over to their website http://crane-usa.com and check out their products. Amazing campaign and really great artwork. The only piece that I have trouble grasping is “$100 in Facebook ads”. Why would a company with so much to gain from this great campaign spend so little? Because big companies still have yet to grasp the concept of new media marketing. Hey Mitchell, yea I agree they should have spent more. Facebook ads was not what they were really going for but I think they could have really magnified the campaign if they spent more there. This is such a quality campaign and post. I am doing a revaluation of the way I run social media. Glad you enjoyed the post Nick. Good luck with your revaluation! What a great idea!! Simple yet powerful. Although I’m an accountant I’ll bet I could find similar competition. I once ran a competition for the local grade school to color my W-2 routing envelopes. Gave movie passes to winners. Kids loved it. I had fun. Got 7 parents as tax clients. 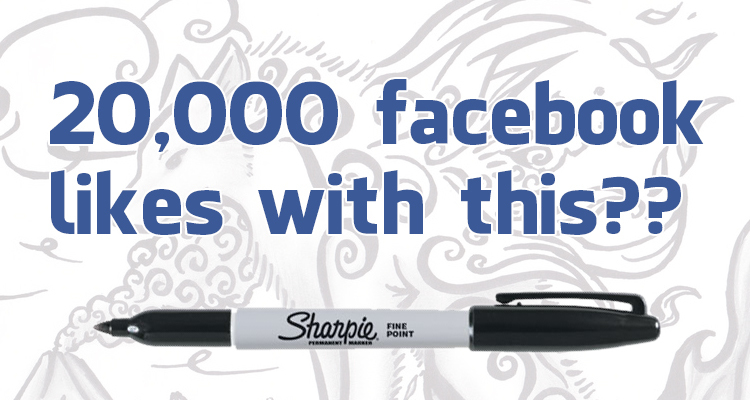 Its not 20,000 FB likes but I may have to resurrect the competition but maybe on FB. Aloha! !